Our children will follow the No-Nonsense spelling scheme, which is used throughout school. 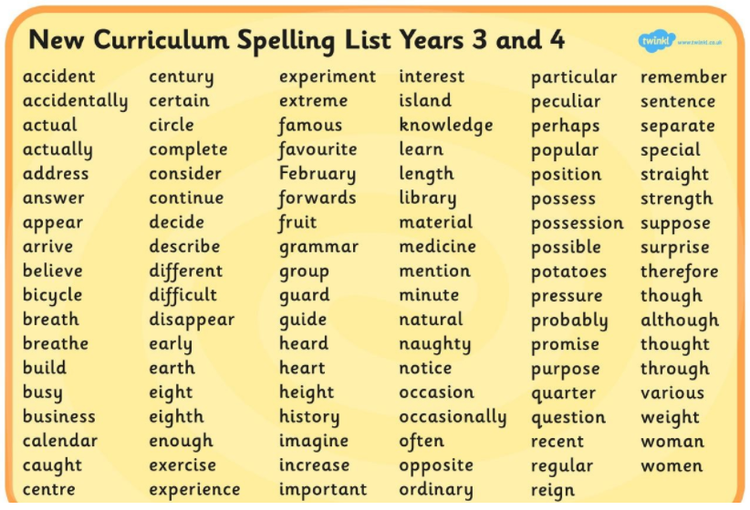 The scheme covers the spelling rules and patterns that Year 4 children need to learn, as well as incorporating time to learn the statutory year 3/4 spelling words from the National Curriculum. Phonic sessions will happen for children needing them.